Lunch & Learns are held on the third Friday of the month from 12:00 PM – 2:00 PM. You are welcome to bring something to share, your own bag lunch, or enjoy the sponsored lunch. Please contact us at hello@nuvolution for speaking & sponsorship opportunities. Who should attend? 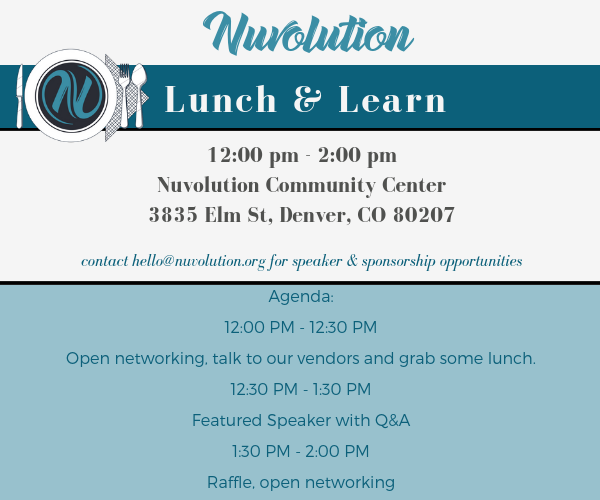 Nuvolution’s Lunch & Learn series is for adults wanting to learn more about cannabis and hear from the thought leaders in Colorado. We appreciate suggestions for topics and speakers for future events. 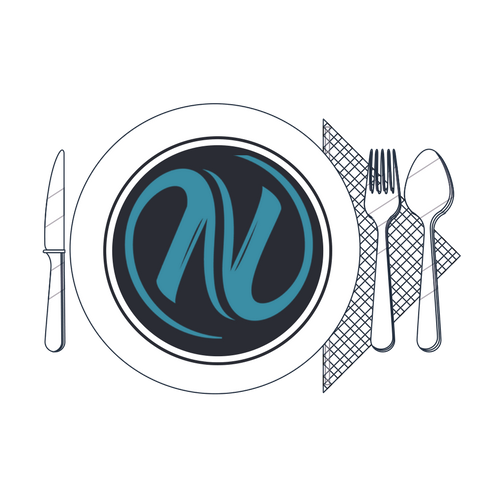 Nuvolution’s Lunch & Learns are complimentary. We believe that community facing education should be accessible and affordable. We are able to provide this series by pulling together as a community! Nuvolution is grateful for the volunteers, speakers, and sponsors that make this possible! How can YOU help? We are grateful for your time, talent, or treasure! •TIME: We need volunteers for our events to run smoothly – set-up tables & chairs, check-in, greeter, and hospitality, live streaming, media coverage, photography… •TALENT: We are accepting applications and nominations for speakers. •TREASURE: The truth is putting on quality events costs money. We received a grant for the community center itself but we still need to cover utilities, marketing, hospitality incidentals, operational and programming costs. Member and sponsor dollars go right back into the community center so we may continue to support our community through quality events and programming. •HOSPITALITY: Lunch and beverage sponsors are recognized at the event, in L&L marketing, and our monthly newsletter. Nuvolution is a 501c3 nonprofit and contributions are tax-deductible to the extent allowed by law. There is plenty of street parking. Please avoid parking in the dispensary parking lot. ADA parking and entrance is at the back of the building. Events at the Nuvolution Community Center are non-consumption.